With PhotoSuite Events Software you can easily and automatically capture, edit, print, and share any event photo. 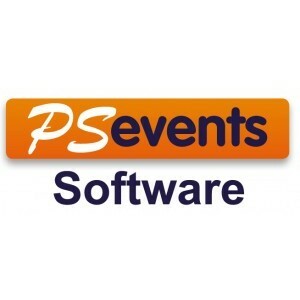 PS Events Software is the erfect solution for festivities, parties, weddings, tourist attractions, conferences or any event where people get together for fun and celebration of any occasion. PS Events software is versatile yet powerful. It can be configured and setup to be used by up to five photographers at a time and all images captured can be stored in individual hot folders of each of the photographers. This feature is particularly useful at events where activities are zoned in different areas, such as trade shows or product launches. capitalize on the growing social media phenomenon. Why not print all of the selfies of your customer's wedding, during the ceremony or on the dance floor? All of the daytime pictures of those customers can be printed too, during the event!! The perfect solution for festivals, parties, conferences, trade-shows, and any event with people having fun!! Direct printing from #Hashtag is possible!! All selfies taken in that event can be printed!!! For any hot spot location where a photo souvenir can be taken!!! Perfect for the launching of new products, new business/store openings, loyalty programs schemes, social media campaigns, promotions discount, etc. Great marketing promotion of your Hashtag, web site or your business. Photo is emotion and is the best way to increase your brand awareness. Capture Photographs can be taken on any camera and mobile device, then wirelessly transferred to an external computer with PSEvents software for archiving as a session or for automatic printing. Process PS Events will direct incoming photo images to your Mitsubishi printer and store them in one of the up to 5 different hot folders you set up. Photos in the folders are processed immediately with the logos, text and other adjustments you have made and pre-configured for the event. All the incoming images sent from devices or hashtags can be configured to print automatically without the need for user intervention at the pre-set finish and size, leaving you to do more important tasks like capturing the important moments in your own camera!